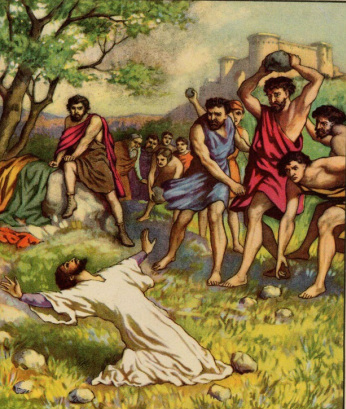 21st Sunday After Pentecost - "I Forgive You for Running Over Me"
The reason why we must forgive is told us in this morning’s Gospel. By our sins we have offended God. If we have sinned mortally, we have offended Him more than words can tell. When people hurt us there is a limit to it. There is no limit to the offense we do to God when we sin. God is perfectly willing to forgive us our large debt but He insists what we forgive people the smaller injuries that they do to us. If Christ is willing to forgive us for nailing Him to the Cross, we should be willing to forgive someone for pulling our hair or calling us names. When we refuse to forgive we place ourselves in the position of the unjust servant and say, “Pay what thou owest;” then we forget the many sins that God has forgiven us, and forget what we owe to Him. He conquered the country and all his courtiers were expecting that there would be a great slaughter of the enemy leaders. They expected to find them beheaded, maybe after being tortured. They were surprised to find them all sitting at table with the emperor, laughing and joking!